This quick review reveals that Group Direct Finance is an investment scam that you have to avoid. 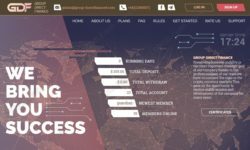 Group Direct Finance claims to be an investment company that is trading cryptocurrencies with great success. This alleged great success translates into investment plans with return going as high as 5000% after three days. Do you need to know anything more? No, you really don’t need to know anything more than 5000% after three days. This number is so absurd that everybody has to see that it is a scam. There is absolutely no way to achieve this kind of profits in any business. Even scam Ponzi schemes cannot sustain 50x returns after three days. This means that Group Direct Finance is a total scam that will just steal money from people, that’s it. 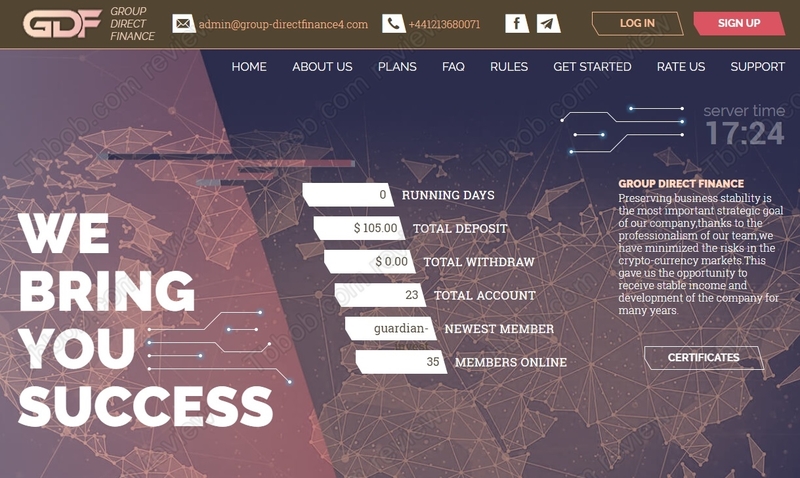 Group Direct Finance supposedly is registered in the United Kingdom as a company, but a quick look in the Financial Conduct Register reveals that no company of this name is authorized to provide investment services. 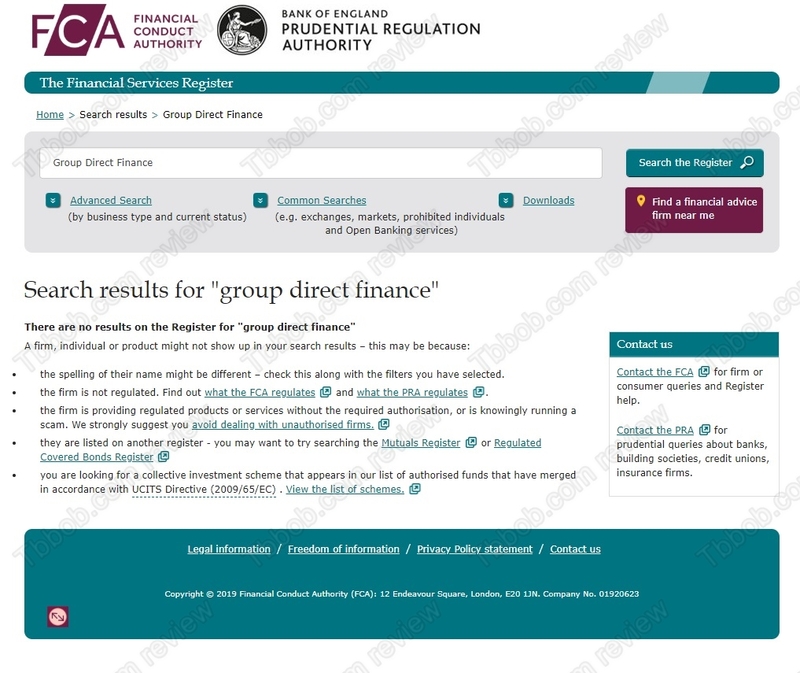 This means that Group Direct Finance is an illegal investment offer. It’s one more reason to stay away from it. Group Direct Finance is a scam that will just take people’s money and then disappear. Stay away from it! If you want to experience genuine cryptocurrencies trading, start on a free demo account with a regulated broker. Use the demo to test and learn so that you see if you are able to trade profitably.